Satyaraj has become the go to man in Tollywood. Roles are being written keeping him in mind these days. 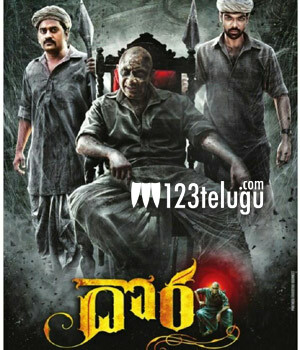 Meanwhile, he and his son are now back with a Tamil horror comedy which has now been dubbed in Telugu called Dora. The film has an interesting premise and deals between the fight of a British and Indian devils. Sounds interesting isn’t it. Satyaraj will be playing an Indian devil in the film called Dora. Satyaraj’s son Sibiraj plays a cop in this film which is up for release this Friday.